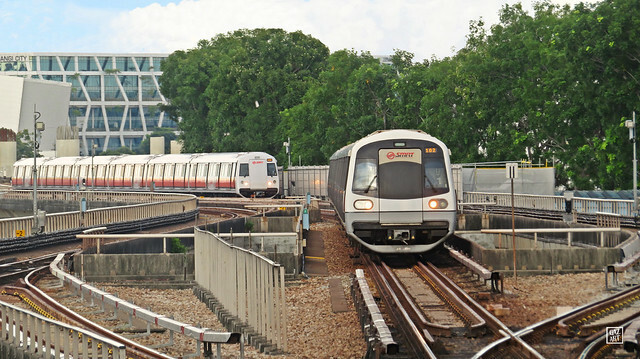 Tanah Merah is a station on East West Line and East West Line Changi Airport Extension of the Singapore MRT. For more details view the Explore Singapore interactive MRT map centered on this station. There are 3 train lines on this station, the east and west lines are separated by the airport line. Please do not go up the wrong escalator. Coming from airport, dont forget to get off the train here and change to another train. Train doors open at both sides. One goes towards town and the other towards Pasir Ris. Listen to the annoucements. This is the best MRT station I had visited because, the new platform will be built by 2024.